2012 Results are in! Find your class and age group below. 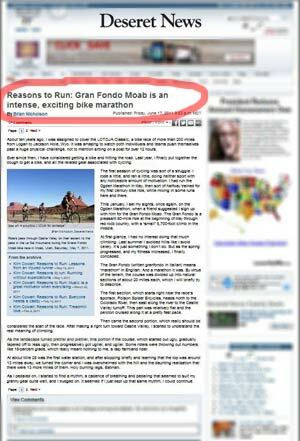 The results for the Gran Fondo Moab 2011 are in! You can click on the categories below to view. Gran Fondo Moab title sponsor BH Cycles is going to donate a 2011 RC1 frameset for our raffle! Note: Raffle is for the frameset only. Complete bike pictured below.